Fin Tech start-up and Surrey SETsquared member, Streeva, has recently announced a seed raise of £264k. 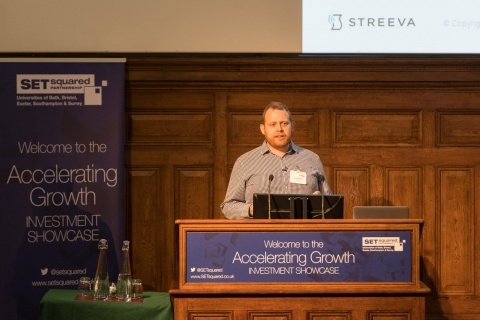 The raise comes hot on heels of Streeva’s investment pitches at three events: the Surrey 100 Club, Angel Acadame and SETsquared’s own 2017 Accelerating Growth Investment Showcase. Streeva has developed a payment communication platform that delivers secure, anonymous content directly to consumers through digital transactions. It enables banks to provide receipts and other content directly to consumers, while ensuring protection of merchant-sensitive data. Streeva’s first product Swiftaid looks to automate Gift Aid on contactless donations, thereby increasing the amount charities receive without costing donors more. The investment will be used to help set up offices, employ staff and for the founding brother and sister team to work full time on Streeva.